Many who follow the conflict in Afghanistan hoped that President Trump would announce a strategy that would lead to peace and eventually end the sixteen-year war in Afghanistan. Like many other broken campaign promises, President Trump did not announce the withdrawal of American troops from Afghanistan and will likely send an additional 3,900 troops. The means that war will be continued, Afghanistan will continue to remain a war-stricken country and remain a national security challenge for the United States and the region. President Trump’s warning to Pakistan is a positive development and may result in pressure on Pakistan to stop harboring, aiding and sending terrorists to Afghanistan. The new strategy has a strong emphasis on a military solution and the continuous use of heavy force in military operations but it lacks recommendations for a political solution, which is essential. The increased military engagement and the relaxation of rules of engagement in Afghanistan will lead to the renewed heavy bombardment of houses and villages, more civilian casualties, anger, and further alienation of the Afghan people. Without a political solution, the country will continue to suffer from a lack of economic development, will not have a workable political infrastructure, and the state apparatus will continue to be run by factionalism, regional warlords, corruption, and organized crime. The continuation of war and reliance on military might will only result in more lethal violence. 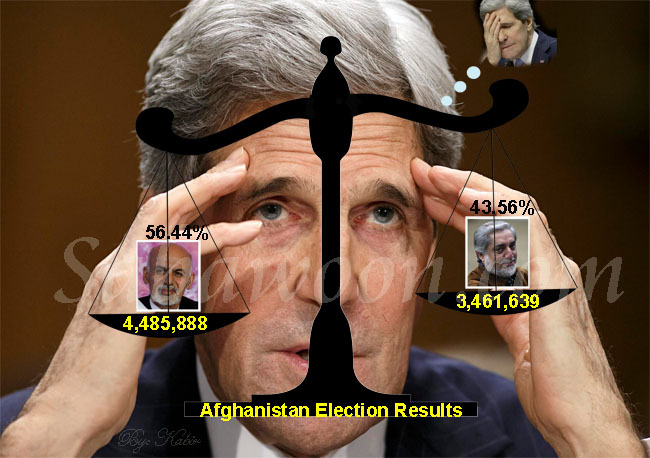 The United States and its allies have sent over 100,000 troops to Afghanistan, contributed unprecedented international financial aid and military support to the government of Afghanistan, and have used a variety of tactics to defeat the Taliban and establish peace, security, and the rule of law. However, the Taliban resistance has grown, war and insurgency in Afghanistan have intensified, and the Taliban have expanded their control to over 40% of the country. Furthermore, the continuation of war has resulted in the emergence of ISIS and other terrorist groups in Afghanistan. President Trump and his advisors involved in the Afghan war probably think that if the United States’ military operation can reduce the numbers, strength, and military capacity of the Taliban, resistance to occupation, foreign forces, and the Afghan government will be weakened and eventually diminish. Similar strategies in the past history of Afghanistan have produced no such results and history has witnessed that empires have fallen in Afghanistan. In fact, the sixteen years of undiminished and mounting violence in Afghanistan have proven the opposite. The more pressure is applied and pain is inflicted, the more the Taliban are encouraged to strengthen their resistance. Furthermore, the repercussion of this strategy is that what was once resistance and attacks by the Taliban alone has now become resistance by the Taliban, ISIS, and many other groups. The intensity of resistance varies from province to province, is strongest in the south and the east, and has expanded in the north and the west. Therefore, to bring an end to the war, the answer is not to prolong the war and try to weaken the Taliban capacities. Rather, the United States need to bring an end to the fighting and reach a political compromise with the Taliban. They United States should refrain from military aggression because it feeds the mounting political and social outrage. The United States should focus its efforts on achieving a deeper understanding of Afghanistan’s unique and resilient social values and political culture and on meeting urgent economic needs. Failure to recognize such realities can only lead to the deterioration and eventual demise of United States’ influence in Afghanistan. The sixteen years of war has transformed the Taliban movement from a purely military fighting force into much more of a politically conscious opposition resistance movement. The Taliban are no longer merely a religious-student militia organization obsessed with applying their strict interpretation of the Shari‘ah. It seeks a return to power as a party ostensibly open to inclusion and sharing, a move which could hold enduring ramifications for the future political system in Afghanistan. Instead of hoping to reverse the Taliban momentum in order to secure a more favorable environment for negotiations, the United States need to face up to the need to end the fighting now. Initiatives must be taken to work towards a practical political compromise and agreement. Initial and lower-level discussions can take place, and these initial talks need not be viewed with suspicion. An environment of trust must first be created in which Taliban leaders feel secure enough to take part in negotiations. The Taliban leaders must feel confident that engaging in negotiations and revealing their identity will not lead to their harassment and arrest. Once the scrutiny of those affiliated with the Taliban living in Kabul and other key urban areas of the country ends, the Taliban in outlying areas and fighting in the front lines may themselves come to view their adversary, the United States, as being seriously and honestly interested in negotiating an agreement through compromise. At that point, negotiations could proceed in three stages. First, direct negotiation between the United States and the Taliban could aim at reconciliation with patient efforts to promote a sustained dialogue. In this initial stage both the United States and the Taliban should seek a cease-fire agreement that would also include the release of Taliban prisoners detained at Guantanamo, Bagram, and other prison or secret ‘rendition’ facilities and the removal of Taliban leaders from terrorist blacklists or watch lists. After this, negotiations could move to the second stage, which should include the United States, the Taliban, the Afghan government, and other key actors. Since this stage involves intricate negotiating among Afghans, a non-partisan independent peace team needs to be put in place to arbitrate between the conflicting parties and to shepherd the process. This team should not include members of the government, any political parties affiliated with the government, the Taliban or opposition parties, nor Jihadi groups and commanders. The objective should be to create a process aimed at creating institutions for sharing and dividing power among the conflicting parties. This power-sharing framework would increase the prospects of building momentum toward an enduring peace. The third stage of negotiation would include all above mentioned groups plus opposition groups and members of the wider civil society. It can be expected that the first two stages of negotiations may be disrupted by groups or elements not included in the first two stages. Therefore, strategies need to be prepared to mitigate their influence and deflect any violence, while simultaneously including them in the growing peace process, and integrating them into the third stage. The global community can help to develop institutional foundations necessary for this process. This in turn may help the Afghans develop leadership capacities enabling them to work together and bridge the political divides. In conclusion, the ultimate objective of such a delicate and painstaking negotiation process is not only to settle the differences between the key players, i.e., the United States, the Taliban, the Afghan government, and others, but to chart an Afghan course to resolve disputes, strengthen capacities of communities, promote inter-ethnic dialogue, nourish reconciliation, build trust, and cement social cohesion and cooperation. A structured forum needs to be set into place to orchestrate and coordinate this type of comprehensive and holistic peace process, which aims to build public consensus around shared values and a shared future.